So our next vacation destination is Maui, Hawaii! I don't know if I can be any more excited. I love visiting cities but my inner granola also craves trees, water, mountains, fresh air, scenery ... all that natural goodness. But island setting also demands an island worthy body which I currently severely lack. We all know Christmas will be a lot of heavy boozing and eating so clean foods are on the agenda. For now. Less carbs and more clean proteins and vegetables. 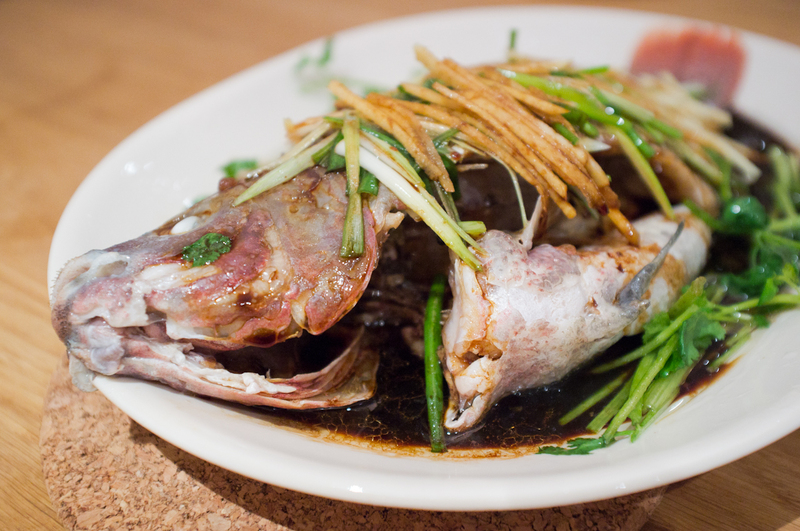 So to kick start a 2 month diet plan, I made steamed whole fish and winter melon soup on Saturday night. 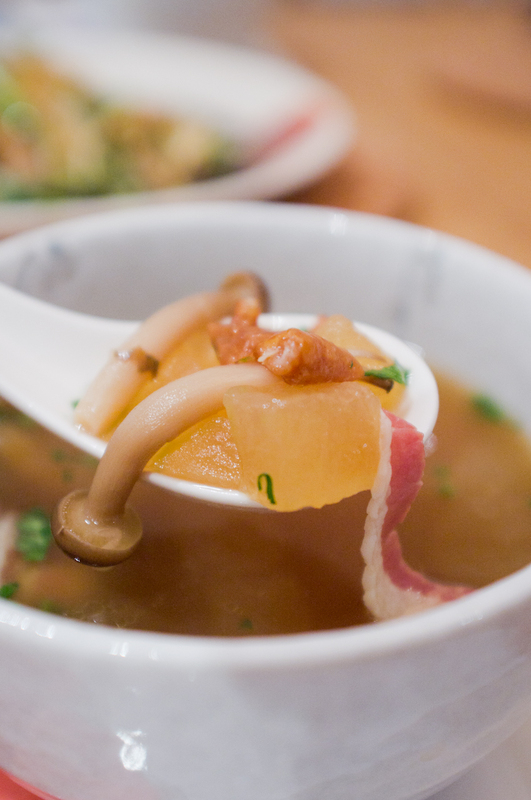 The wintermelon soup was tweaked quite a bit to include mushrooms, roasted duck, panchetta, dried oysters, dried shrimp, chicken stock and cilantro garnish. We had it 3 times over the weekend and finally finished it. The soup was super rich and nourishing. With all the added ingredients, there wasn't even a need for salt. The winter melon soaked up all the goodness and we managed to finish every less drop. Nothing like a meal that is tremendously tasty, good for you, and brings back a sense of nostalgia. Triple win!